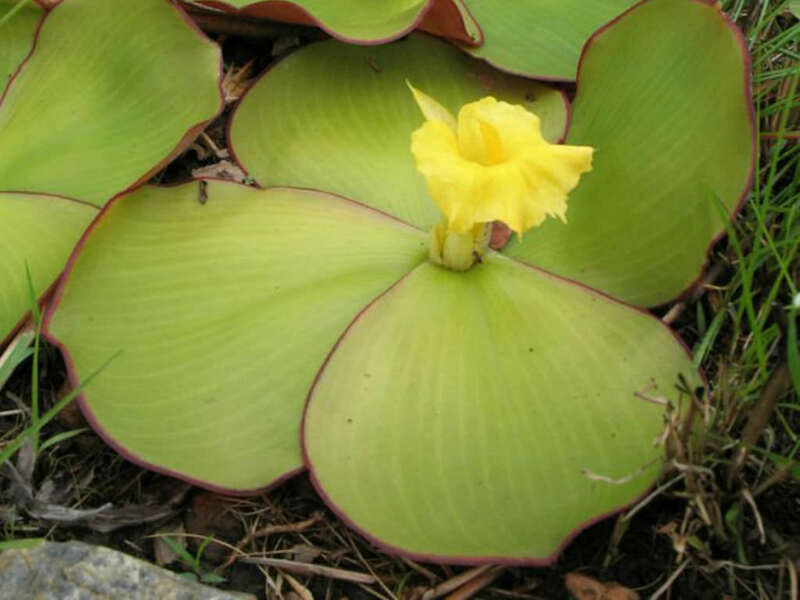 Costus spectabilis is a herbaceous, perennial plant that produces 4 large, fleshy leaves which lie flat on the ground and form a basal rosette. 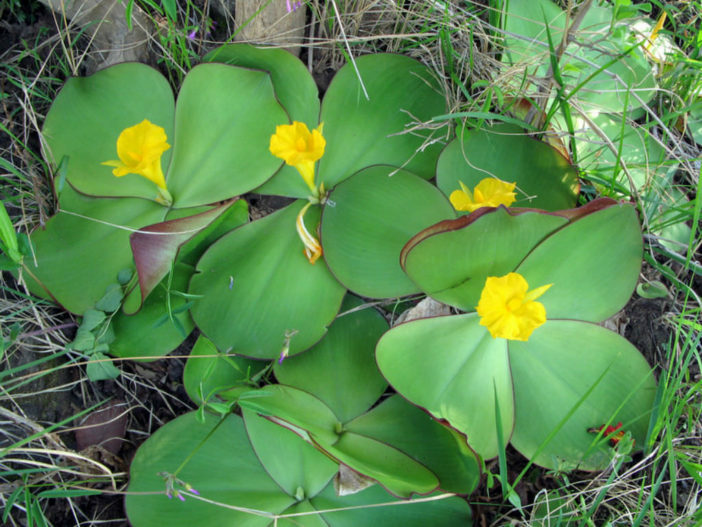 They are glabrous above and pubescent below, especially along the midrib. 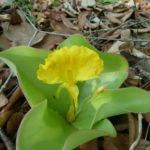 The leaf margin is entire, often with an edging of purple-pink. The inflorescence is terminal, growing from the center of the rosette. 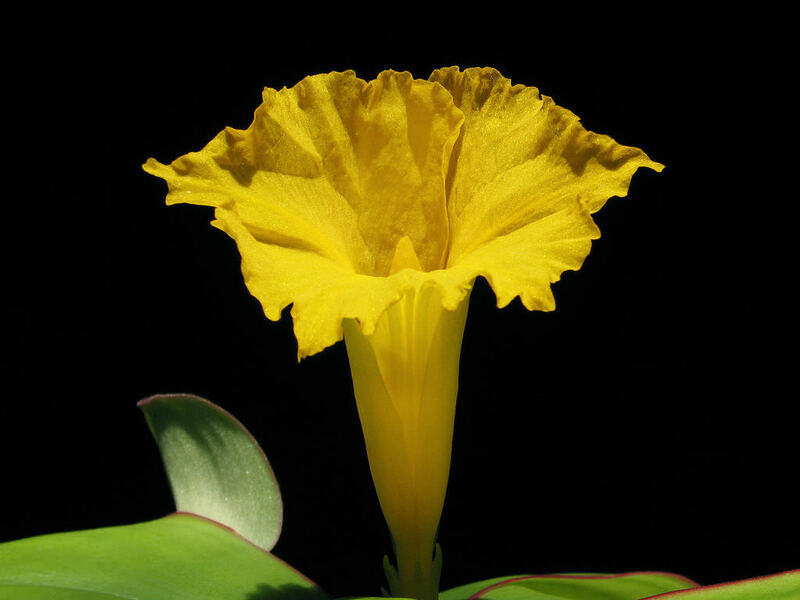 The flowers are showy, yellow, and open singly and die rapidly, but are immediately followed by another. The species becomes dormant during winter, shrinking to a centipede-like rhizome without roots. 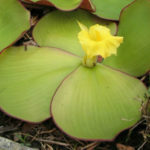 Depending on the species, you’ll probably need to repot your Costus annually, in the beginning of the growing season. If you want to keep it a manageable size, use this as an opportunity to divide the rhizome and refresh your potting soil, but keep it in the same size pot. 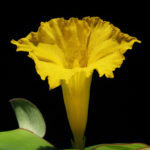 Some of the larger species can grow to 10 feet (3 m) or more, so be aware of the potential size issue… – See more at: How to Grow and Care for Costus. 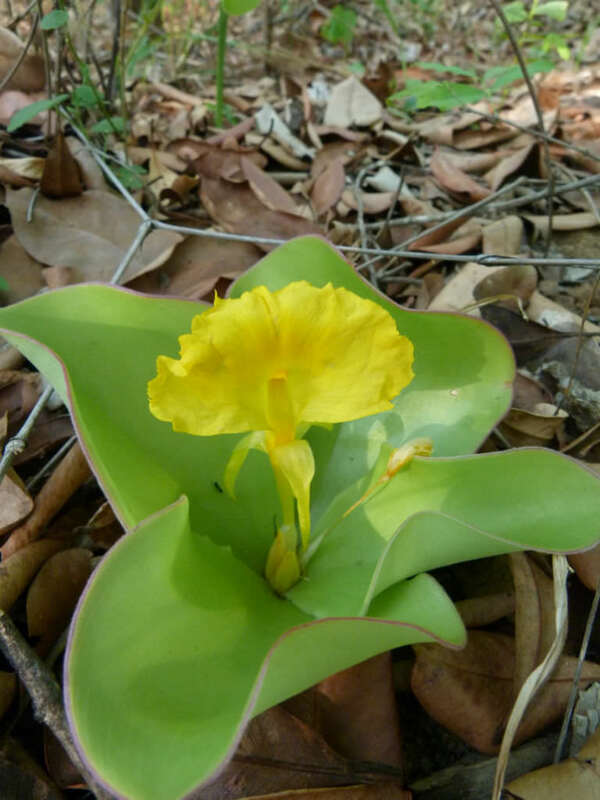 It is found from Sierra Leone to Sudan to as far south as Angola and Zimbabwe.